At the last meeting of the Forum Nick Brown, Joint Chairman gave an update on policies that are being developed as part of the Neighbourhood Plan. The policies are designed to ensure the social, economic and environmental well being of the area. The major proposals cover the locations, mix and design of Housing; Education and the lack of primary school places to meet new demands and Traffic problems arising from new and proposed developments. 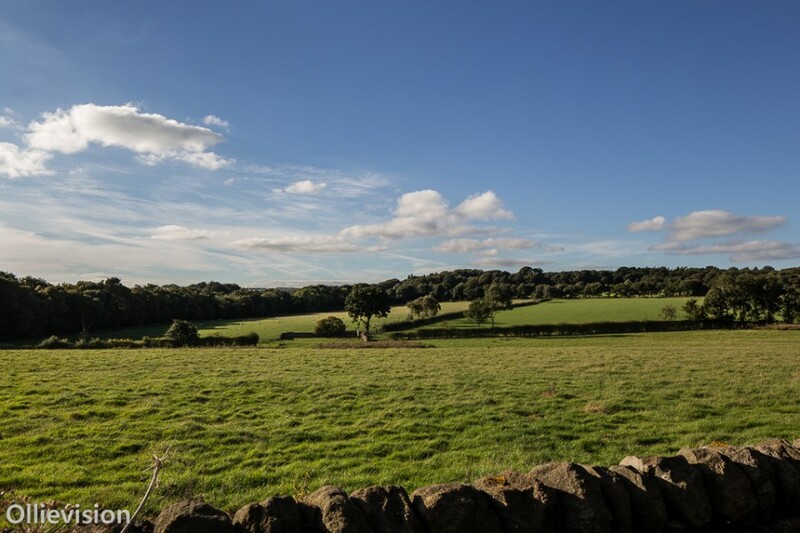 the Identity of Adel as a green northern gateway to Leeds through increased tree planting on wide grass verges of large tree species. Also improvement to the character and appearance of the retail frontages to Otley Road incorporating tree planting where possible. creating a network of green links between the open areas in and around Adel through new footpath links and cycle paths that connect through Adel and link to a wider city wide network. The establishment of a trim trail around Bedquilts Playing Fields. 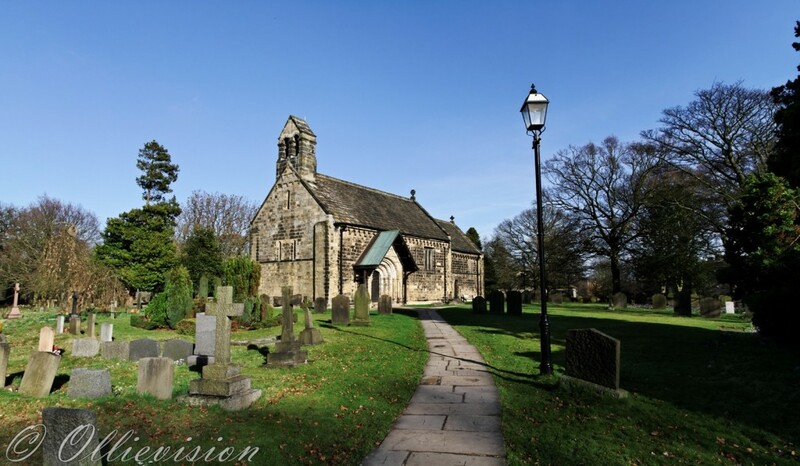 support for the protection of heritage buildings such as Adel Parish Church and features such as Long Causeway, Scotland Mill and important historical elements within the area. A historic walk around Adel will be promoted and advertised. The redevelopment of Eastmoor (reformatory and chapel) buildings for appropriate new uses offers potential for start-up businesses. enhancement and support of existing community facilities for use by older residents and young people also a long awaited play area for children. promoting our offices, shops and services to residents and visitors and supporting them with professional advice on issues that affect them and networking opportunities. Ian Bond, Joint Chairman summed up and said it was a challenging programme for the team of volunteers supported by “Locality”. He reminded everyone that the plan will become a statutory document and that the Forum would have to be consulted by anyone wishing to undertake development in Adel. for Land opposite Adel Parish Church. Hallam Land and David Wilson Homes have submitted revised planning applications for the above land. The first change is that the proposed developments will now be pushed back west of the water course that runs through the fields between Otley Road and Church Lane. Thank you for your support in achieving this concession to the heritage of Adel Parish Church. However our fundamental concerns remain with the desirability of the entire development. Secondly, the Developers have presented their proposals to Leeds Council Planners as two distinct sites so as to fast track these applications because, they argue, each site is less than 10 hectares and therefore are eligible for less stringent planning procedures. In practical terms the Hallam Land development is to be physically separated from the David Wilson project thus restricting traffic from travelling from one of these developments to the other. All traffic from the Hallam Land area would have only one exit onto Otley road and the David Wilson residents would need to travel through the existing Centurion Fields Site to Holt Lane and then onto Church Lane. At our recent meetings it was clear that the residents see the proposalsas one site. There were over 250 objections to the original plans, but please give us your support again to object to these revised applications. Guidance on the key issues is listed below together with a suggested pro-forma for your comments. Both Adel primary schools are at capacity and the current number of houses in Adel is such that it needs more than two entry classes to support the existing level of housing. There is not any potential to expand either school due to traffic and land constraints. This would mean that parents and carers having to drive their cars to drop children to schools outside the catchment area. Until new primary school places are implemented within the Adel area, there should be no significant housing development (more than 5 units) permitted. The revised planning applications envisage that traffic access to and from the two developments will be split with traffic from the land to the rear and north Adel Willows accessing Otley Road opposite Kingsley Drive. The A660 Otley Road is one of the most congested roads in Leeds. It is proposed that traffic from the site adjoining Centurion Fields will exit onto Church Lane via Holt Avenue opposite Adel Sports and Social Club. We do not consider these traffic proposals sustainable. Adel St John the Baptist Parish Church is a Grade 1 Listed building. This means it warrants particular attention in terms of its history dating back to 1150 that means it has national and international significance. The UDP Inspector’s report in 1999 referring to Adel Parish Church, said that ‘the preservation of its setting is of unchallenged importance’. Developers do not appear to have taken account of the importance of the ancient Public Right of Way referred to as the Corpse Route. Do you feel that the developers have done enough to ameliorate our heritage concerns? Residents have emphasised the importance of green open space in Adel and feel this should be maintained. It is why many moved to Adel and wish this to be preserved. The access from Otley Road to the proposed development on the Hallam Land site is dependent on the removal of a number of historic trees. The trees form part of a line of trees called Beech Walk, and have been part of the Adel landscape for hundreds of years. This is evident on the historic maps of Adel. The row of trees is a key part of Adel’s heritage and visual character, and we believe they should not be removed. The developers have shown little regard for the wishes of local residents to see a mix of housing in any proposed development. The majority of residents do not want to see this development take place but in any development in this area they want to see a mix of size and design that responds to local character- green space and gardens- and history. It is our belief that this has not been demonstrated in the design of the adjoining development at Centurion Fields. Our research supported by an independent housing report indicates a need for older residents to have the opportunity to down size to smaller accommodation in the area. What kind of housing do you feel Adel needs? There are serious concerns regarding flooding that could arise from this development. All new developments should have soft rather than ‘hard’ engineering solutions wherever possible (Sustainable drainage systems). In your response below you may also wish to comment as to whether you see these applications as forming one site and whether wider infrastructure needs are being addressed. You may wish to use the Proforma as a guide for your objections and comments. Or read our regular articles in Adel Bells, North Leeds Life and Covered magazines. The Chairman welcomed everyone to the meeting. He explained what aspects the meeting would cover. The Chairman, Ian Bond (IB) outlined the current position and particularly the English Heritage objection to the original application which has now been negated by the changes made by DWH and Hallam Land in the new revisions. IB asked Cllr. Barry Anderson (BA) to cover the specifics of the revised applications. (BA) explained that the applications have been done as two separate ones but the site needs to be judged as a whole. He posed questions such as what will happen to the green space now left between the stream and the church and explained that in our objections we need to sow the seeds of doubt into the planners and the plans panel’s minds. There is also a “road to nowhere” built into the end field as if they are expecting even more building to take place sometime in the future. BA had been advised by someone at the Golf Club that they had been turned down to buy the land to add to the Golf Course. There are still issues around education, highways, potential loss of trees. There is still the issue of prematurity of the land coming forward at this time. Nick Brown (NB) made the point that although the application has been reduced to half the original land size the number of houses had not reduced to half the amount so the developments will be much denser. This is another reason for objection because the developments will be out of character with the local context of Adel. The historic beech walk could be severely harmed by the proposed access from Otley Road into the Hallam Land site, and is currently subject to TPOs. IB cited Jane Riley’s objection which can be found lodged on the Council’s website as an extremely good example of an objection to these two applications. BA said that objections will be taken up to the date the planners write the report that will go to the Plans Panel. IB said the Forum was speaking to their highways consultant about him looking at the revisions and submitting a report to the Council for consideration with the objections. It was felt that the Council should have written to all of the residents nearby plus all those who had previously objected about these new revisions. BA said he would follow this up with the planners. 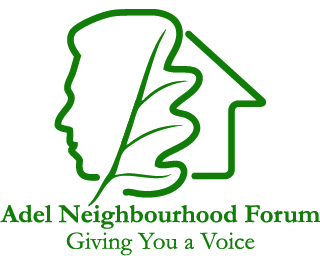 NB gave an update on where the Forum is with constructing the Neighbourhood Plan. It is currently in outline form and the focus groups have been working hard on their different aspects and this is being built into the plan. The plan has also been tested against the National Planning and Policy Framework (NPPF) and the Core Strategy as this is what the Council will look for when it is complete. NB went through the different statements and the policies that will make up the plan. IB summed up and reminded everyone that the plan will become a statutory document that will have to be considered by anyone developing in Adel. Mr. Bond asked if the Forum had looked at any completed plans from other areas. NB responded to say that they had looked at Craven and Exeter. The Exeter one is closest in nature to ourselves so is a good baseline for us. Geoff Steel (GS) asked if we were near to completing the plan. NB replied that there was still a lot of work to do to get to a finished document but the outline and focus group contributions have given us a good start. GS asked that thanks be put on record for the work that NB and IB have done. IB gave a report on the current state of the finances. There is a balance of £2240.44 in the account with around £600 still to be paid in. We do have a target of £20k because there are a number of sites in Adel that will need to be defended. IB thanked everyone who had donated for their support. Election of Treasurer – Johnny Abraham has resigned as Treasurer so we need to elect a new Treasurer. A nomination has been received from Laurence Tewfik. This was proposed by IB and seconded by GS. Allan Dawson (AB) gave an update from the recent meeting held with Leeds Education Department. He said he was disappointed with the way the meeting went because a solution-based meeting had been promised and this is not what happened. He said the numbers given by Education were very surprising as Education do not feel there is a problem. All the comments and queries raised on the night have gone towards a report that will come back to the Forum. AD feels we are going round in circles. Families living in Adel should be able to walk their children to a local school. This will be going into the Plan as a policy. GS asked that thanks be recorded to AD for his work on the education front. IB explained that a small group had recently met with Telereal Trillium who own the Lawnswood Government Buildings site to ask if they would be prepared to consider older peoples’ housing by a specialist provider for the site. Jane Riley had approached a company who said they would be interested if there was support from the community. Trillium are going to make a decision about the site in September and we would also need the support of the Council. IB asked those present for their views on this proposal. There were mixed views but an acceptance that this should be explored. NB asked that everyone encourage as many people as possible who are against the development of the PAS land to ensure they lodge an objection with the Council against the revised applications.